At Hardwater Kiting we're psyched to be able to offer our clients and customers premium brands like Flysurfer. 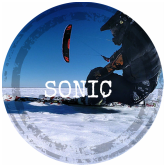 Our favorites are the Sonic FR for those who want to race or just like the performance a race kite offers on both hard and soft water. And the Peak 2 for those looking for more snow kite backcountry oriented riding. 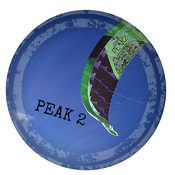 The Peak 2 is always a winner.